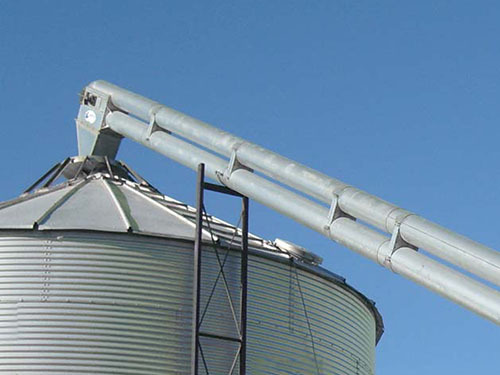 Conveyors efficiently transport your grain from point A to point B. They are engineered for durability, high capacity, fast delivery, high performance, and low maintenance. 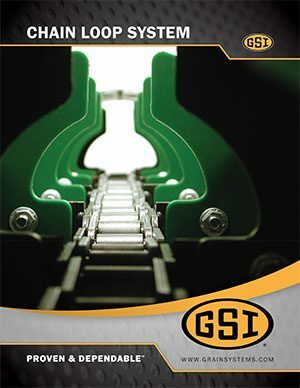 Michigan Agri-Systems proudly partners with GSI, Lambton, and Sudenga to supply the highest quality equipment for your grain transport needs. You can rely on our over40 years of combined industry knowledge and experience to ensure that your equipment is installed to spec and ready to perform for years to come. 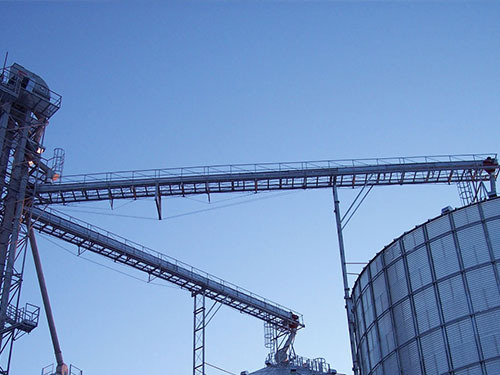 Due to their minimal maintenance and longevity of use, drag conveyors (or chain conveyors) are possibly the most reliable way to move your grain. They are also renowned for being quiet and gentle on your grain. 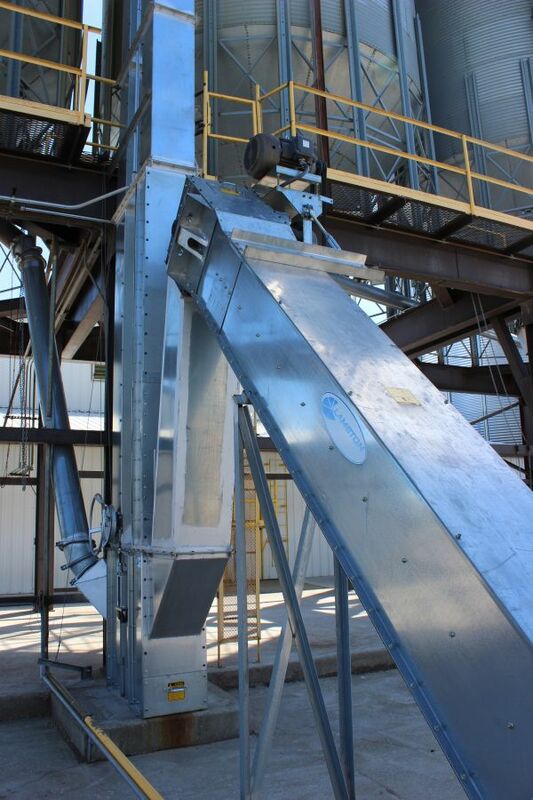 An efficient solution to receiving or moving grain at an incline, with all the reliability and benefits you would expect in a drag conveyor. 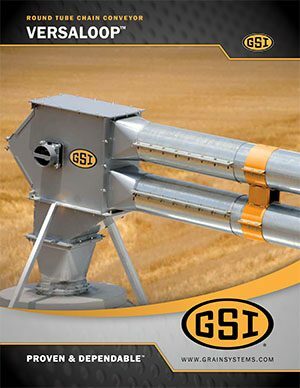 Fills, unloads, blends, and transfers grain in one complete operation. 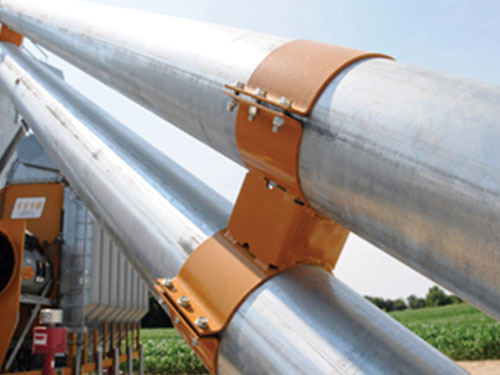 These systems are gentle on grain and generally require less power than other systems. Chain loop systems also offer flexibility that makes them ideal for adding to an existing site. This system provides high volume capacity and uniform delivery with no feed separation. Texture provides more traction in the case of steep inclines and slopes. 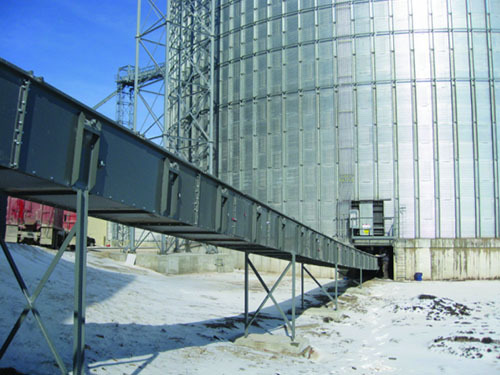 A versatile chain conveyor option that gently conveys materials horizontally or at angles of up to 60 degrees utilizing a galvanized tube housing. 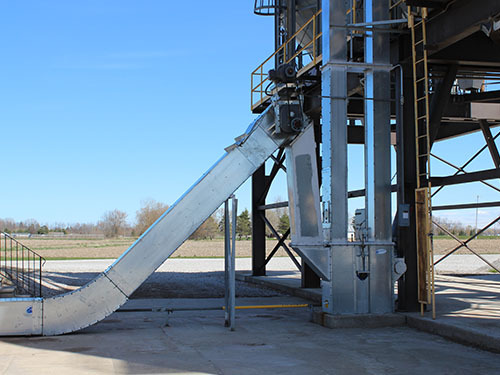 Contact us toll free at (800) 370-4884 or visit us at 5597 S. Huron in Pinconning to learn more about industry leading conveyors from Michigan Agri-Systems.